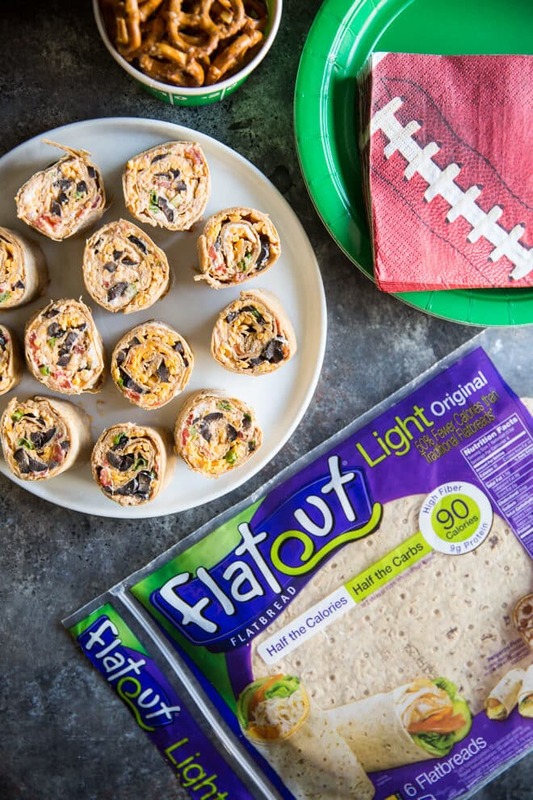 I teamed up with Flatout Bread to bring you these lightened up Taco Tortilla Roll Ups! I’ve been compensated for my time and all opinions are 100% my own. 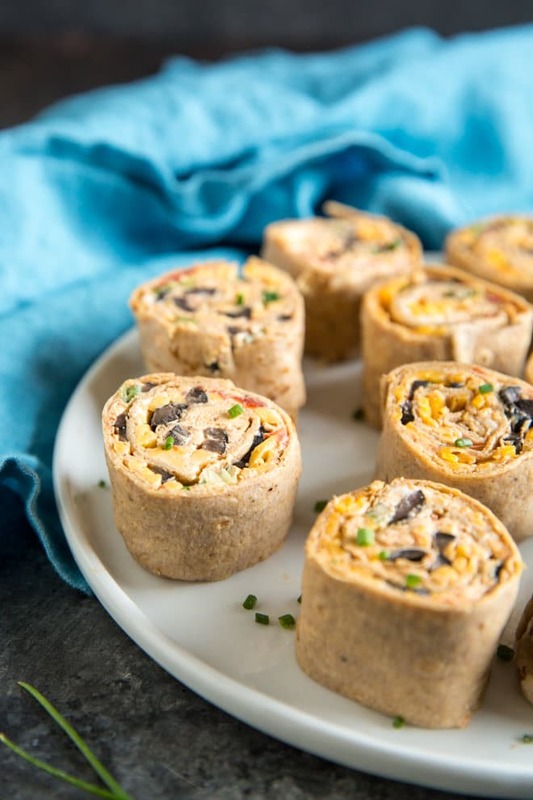 Taco Tortilla Roll Ups are easier than ever AND lightened up! Think Taco Dip in roll up form made with Greek Yogurt and low-carb Flatout flatbread. If you’re harboring any New Year’s Resolutions related to health and fitness, you are probably dreading the upcoming football-related festivities. I mean, how can anyone stay on track in the face of such epic feasting? The easiest way to fight back is to make good choices and simple substitutions whenever possible. If at all possible. 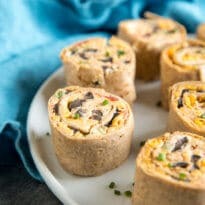 These Taco Tortilla Roll Ups are the best of all worlds: DELICIOUS (think Taco Dip in roll-up form), fun for snacking, and lighter than usual. Taco Dip is one of the easiest appetizers on the planet and it’s incredibly easy to remove some calories without sacrificing an ounce of flavor. You can swap out full-fat cream cheese for reduced fat, swap Greek yogurt for sour cream, or both. 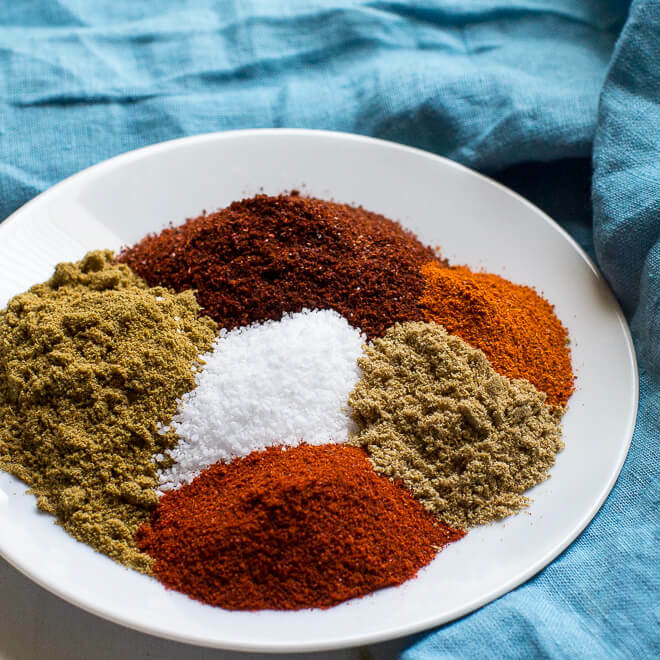 I always use my favorite Homemade Taco Seasoning, too, to minimize random additives and preservatives. Just in case you’re in to that sort of thing. I also stirred in a can of tomatoes mixed with green chiles. You *could* chop tomatoes fresh, but the canned ones taste great here! Spread all that Taco Dip goodness on Light Flatout Bread. 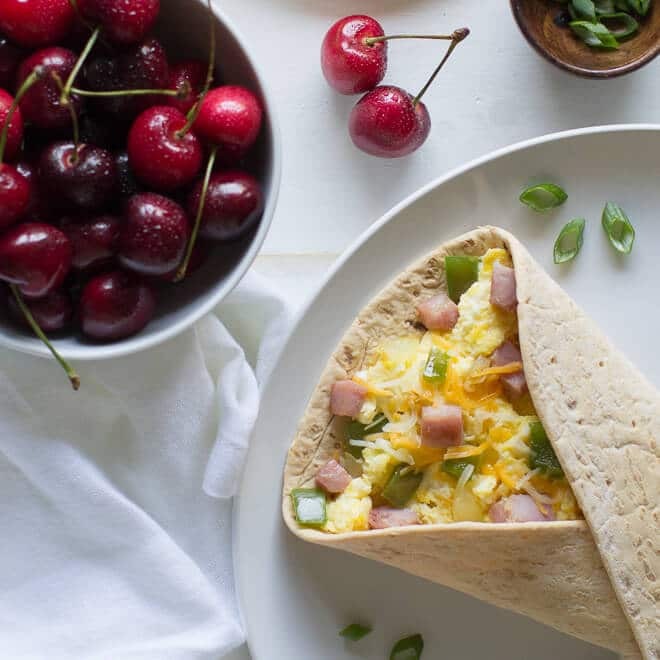 At only 90 calories per wrap, skip the slicing and just eat this thing like a burrito! RIGHT?! I think so. Back to the toppings: Shredded cheese, scallions, and black olives are my favorites. Make them ahead so they can chill overnight, then just slice and serve! 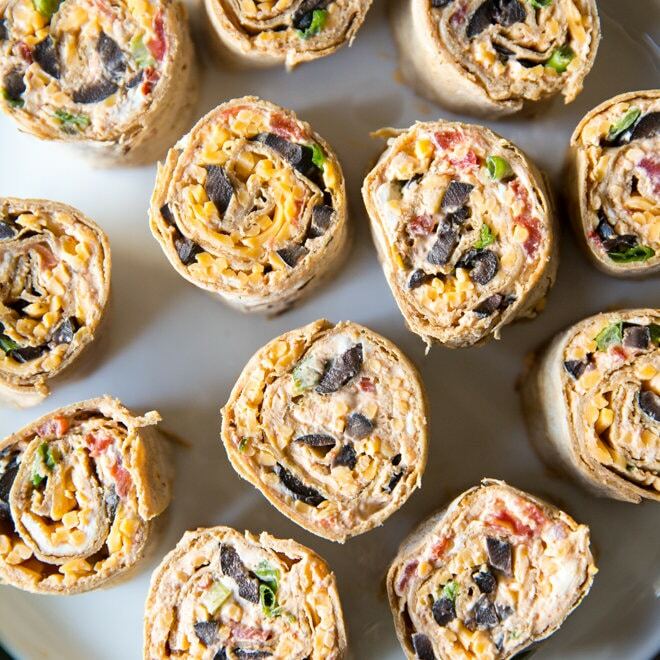 Save these Taco Tortilla Roll Ups to your “Appetizers” Pinterest board! In a medium bowl, combine cream cheese, yogurt, and taco seasoning. Mix until thoroughly combined. Stir in canned tomatoes until combined. Working with one Flatout Bread at a time, spread about 1/3 cup cream cheese mixture evenly over flatbread. Top with about 1/4 cup shredded cheddar cheese, 2 tablespoons scallions, and 2 tablespoons olives. Roll tightly and wrap in plastic. Repeat with remaining ingredients. Chill at least 2 hours before slicing. Slice each roll in to 8 pieces. 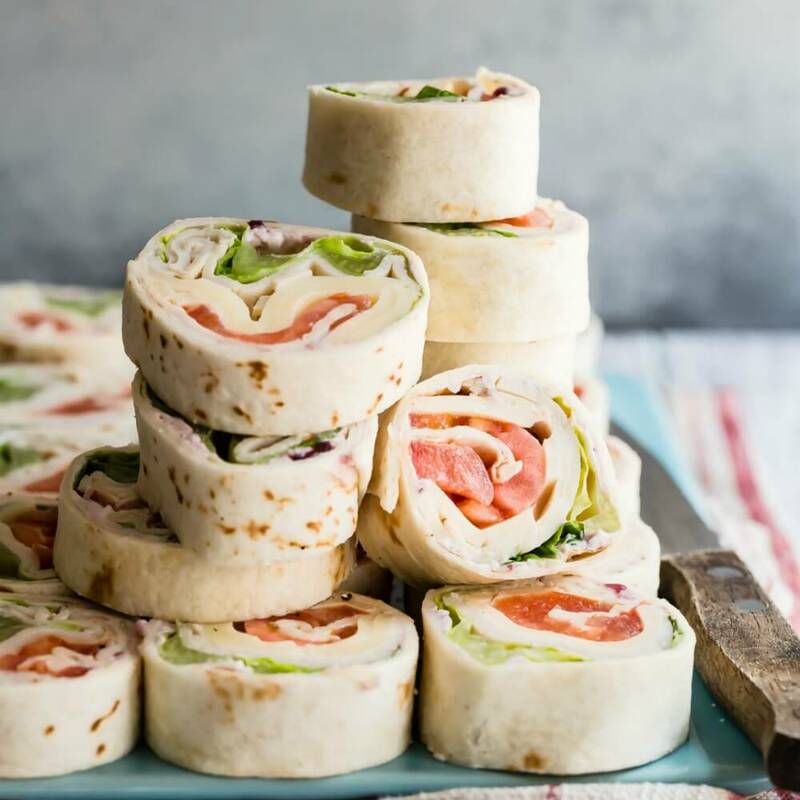 If the roll ups seem loose when you start to slice them (you might see pockets of space or the toppings seem to be falling out), feel free to unroll the flatbread and re-roll them more tightly. Once they've been chilled, they roll tighter. Made the entire family these for lunch one day and everyones lunchboxes/bags came back empty! 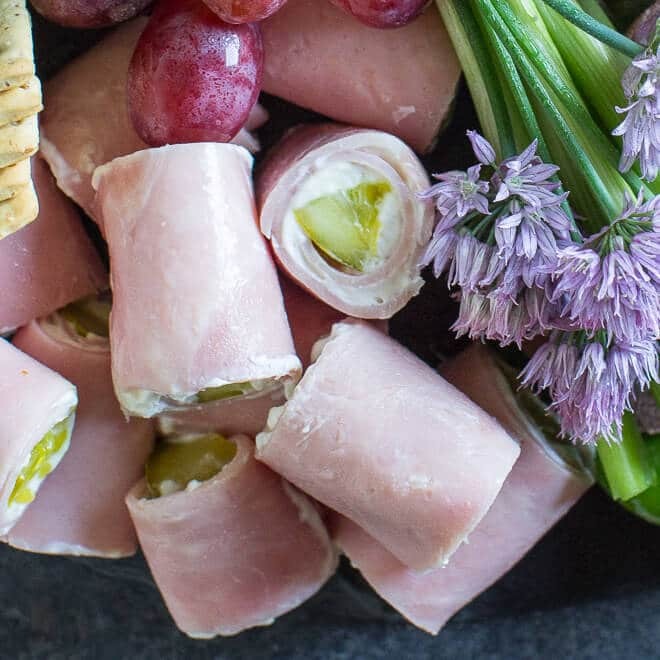 Theres gotta be something to awesome finger foods and getting people to actually eat them!